Product prices and availability are accurate as of 2019-04-20 03:04:14 BST and are subject to change. Any price and availability information displayed on http://www.amazon.co.uk/ at the time of purchase will apply to the purchase of this product. We are delighted to present the brilliant Bern Women's Berkeley Zip Mold Helmet - Satin White, Medium/Large/54-59 cm. With so many available right now, it is great to have a brand you can trust. 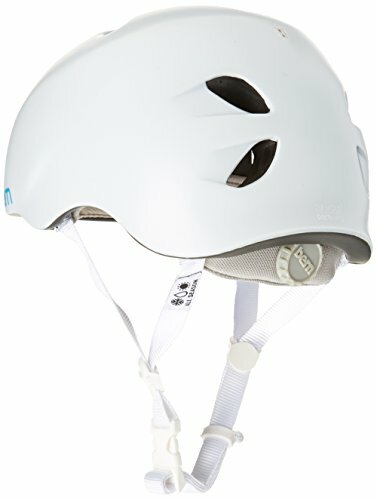 The Bern Women's Berkeley Zip Mold Helmet - Satin White, Medium/Large/54-59 cm is certainly that and will be a perfect buy. 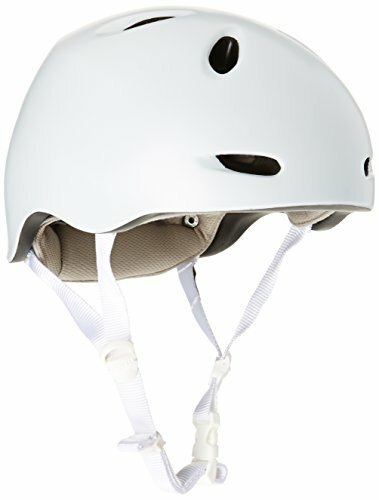 For this reduced price, the Bern Women's Berkeley Zip Mold Helmet - Satin White, Medium/Large/54-59 cm is highly recommended and is a regular choice with most people. Bern have added some excellent touches and this results in great value for money. Bern Womens Berkeley Zipmold Bike Helmet With Flip Visor Satin White VW3SWTV Weight: 14.8-15.5 oz. Standards: CPSC, ASTM F 2040, EN 1078 Liner: Zip mold Customised Fit Range with new stylish flip visor All Season interchangeable snap system: Snap in a winter knit for cold weather cycling or skiing. Swap it out for your summer visor or pop in your summer liner, the All Season liner adapts your helmet for year round use. (seasonal upgrade sold separately) Bern's exclusive Zipmold foam is a liquid foam injection process that provides a better weight to strength ratio so Bern can provide customers with a lighter, lower profile helmet. Zipmold hard foam meets ASTM F 2040, CPSC and EN1078 standards for bike and skate. Please select your size above when completing checkout See Size Guide below (PLEASE NOTE THIS IS AN ESTIMATED SIZE GUIDE ONLY): Size Chart: XS-S 52-55.5cm 6 1/2" - 7" M-L 55.5-59cm 7 - 7 3/8" For most accurate head measurement, measure circumference of head with tape measure or piece of string (then measure the string with a tape measure or ruler) just above eyebrows to back of head.